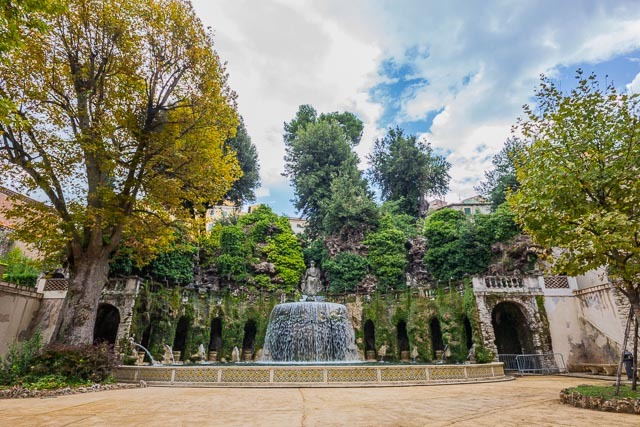 A popular day-trip from Rome is to visit Tivoli and its historical villas. 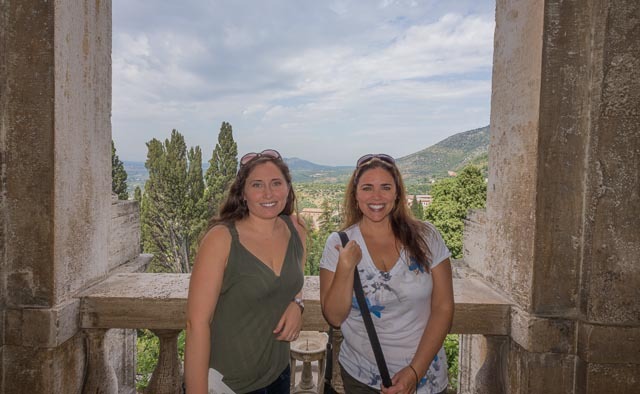 My friend Alicia was leaving Rome, after spending the summer here, and we wanted to take a trip “fuori porta” (outside city walls) before she left. 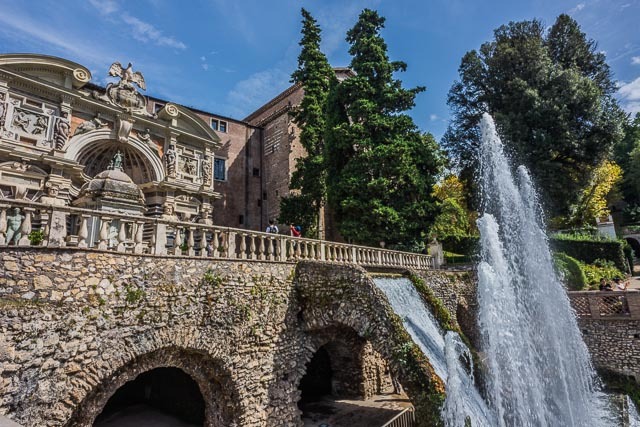 In the end we chose Villa d’Este, since I had never been there either. 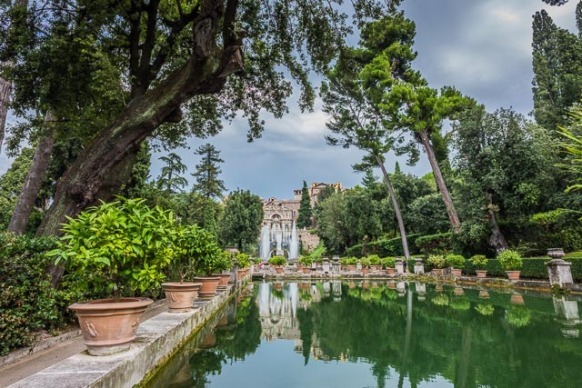 There are a few villas in Tivoli worth visiting, the main two are Villa Adriana and Villa d’Este, both listed as UNESCO World Heritage sites. Regrettably, this “Versailles of Ancient Rome” was plundered by barbarians. The marble was burned to make lime for cement. The art was scavenged and wound up in museums throughout Europe. Visitors have to piece together the majesty from the parts that remain. Ippolito d’Este’s grandfather, Alexander VI, was the pope…probably the only reason Ippolito became a cardinal. 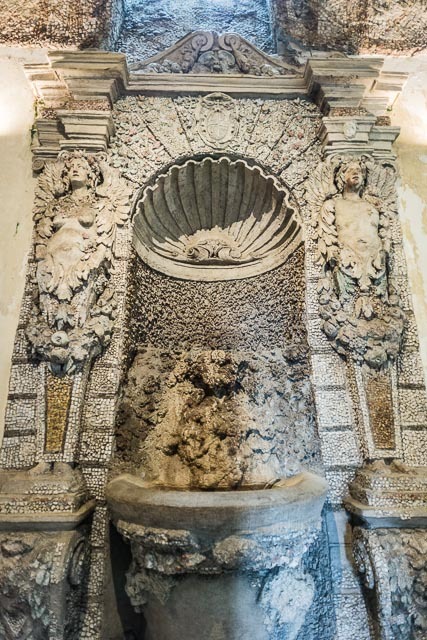 Ippolito’s claim to fame: his pleasure palace at Tivoli. 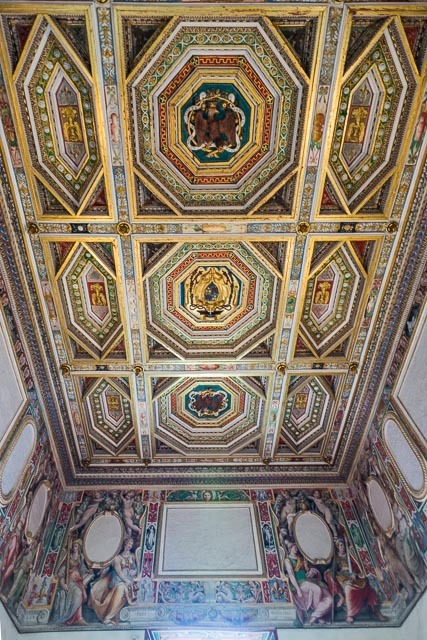 In the 1550s, Ippolito destroyed a Benedictine monastery to build this fanciful, late-Renaissance palace. Like Hadrian’s Villa, it’s a large residential villa. 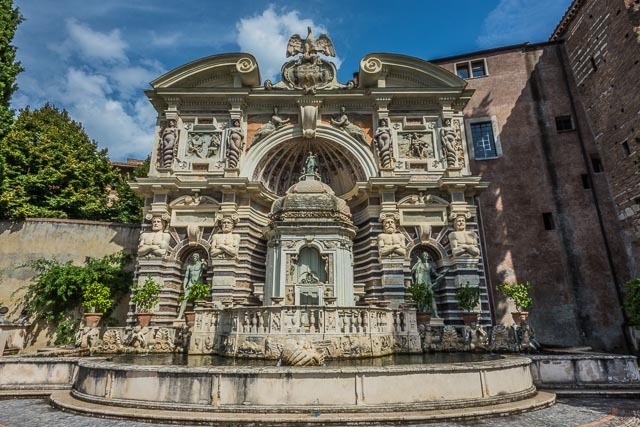 But this one features hundreds of Baroque fountains, all gravity-powered. 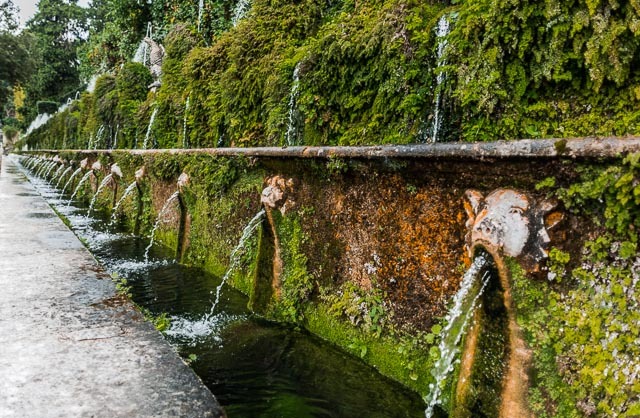 The Aniene River, frazzled into countless threads, weaves its way entertainingly through the villa. At the bottom of the garden, the exhausted little streams once again team up to make a sizable river. The cardinal had a political falling-out with Rome and was exiled. 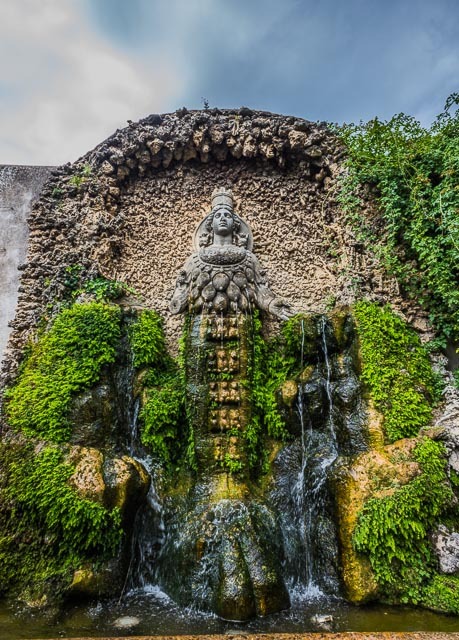 With this watery wonderland on a cool hill with fine views, he made sure Romans would come to visit. It’s symbolic of the luxury and secular interests of the cardinal. 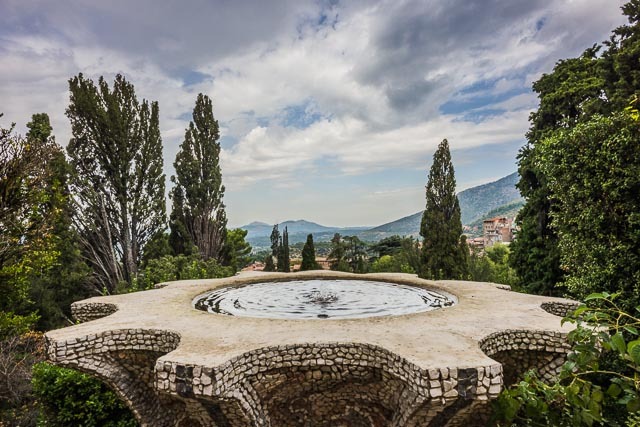 After years of disuse, the villa has been completely restored. 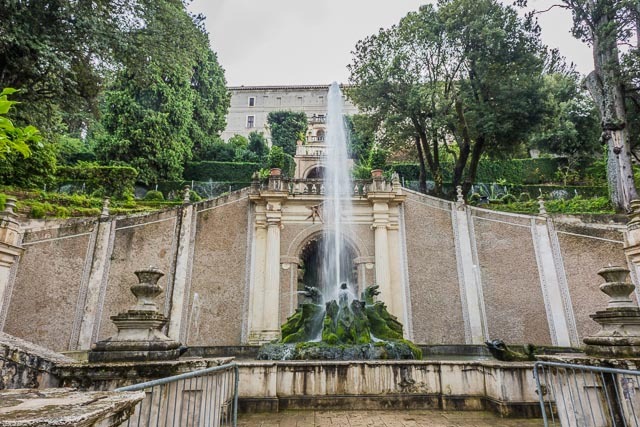 All the most eye-popping fountains have been put back in operation, and — with the exception of the two highest jets of the central fountain, which are electric-powered — everything still operates on natural hydraulics. 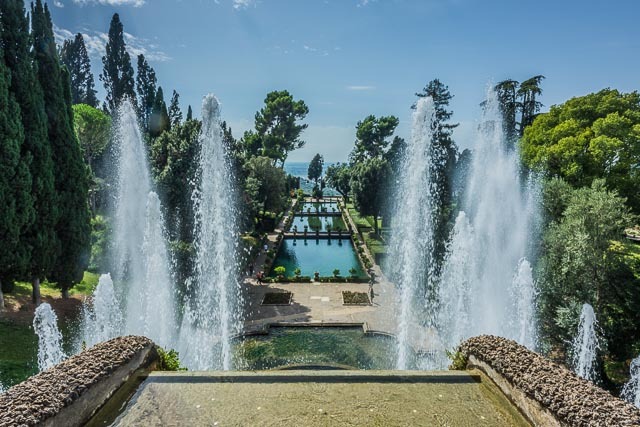 A new terrace restaurant has been installed on the highest level of the garden, opportunely placed to catch cool afternoon sea breezes coming in across the plain of Rome. Expect lots of stairs. As Rick says, this palace / villa was built in the 1550’s. 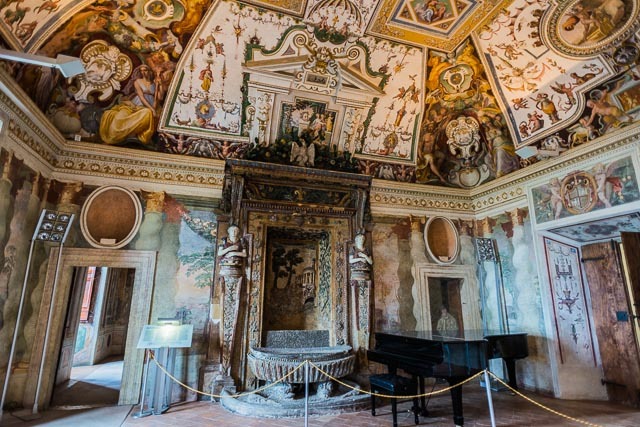 In my completely amateur opinion the architecture and decor of this villa are great examples of the variety of early and late renaissance art. 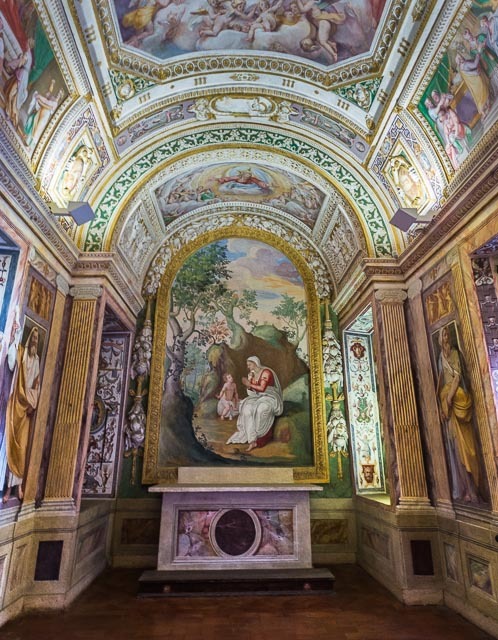 Specifically, there are lots of frescoes, but many are faded. 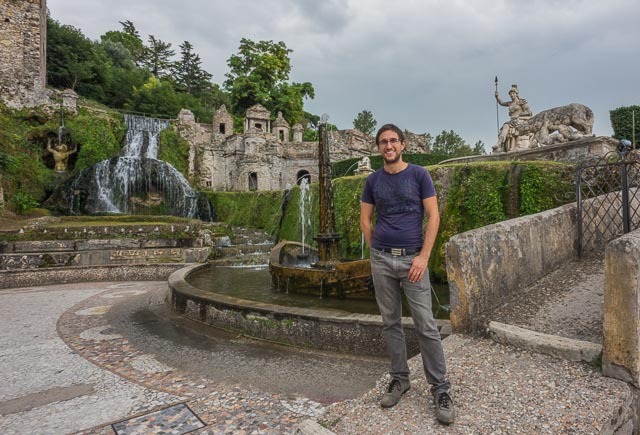 There are realistic statues (especially in all the fountains), but they don’t have that perfect finish that wows you when looking at David or the Trevi Fountain. 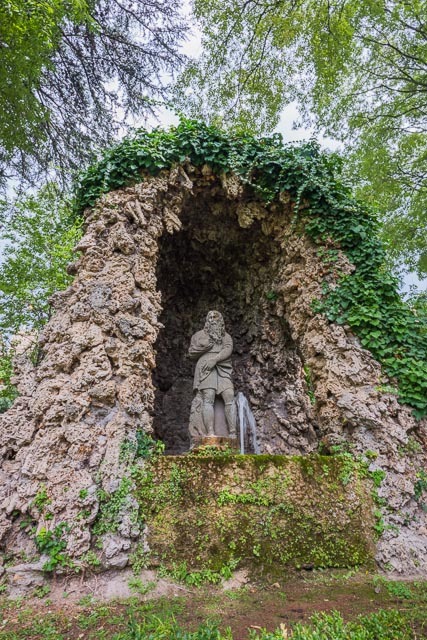 There are mosaics surrounding the fountains and statues, but again, lack that over-the-top perfectionism. 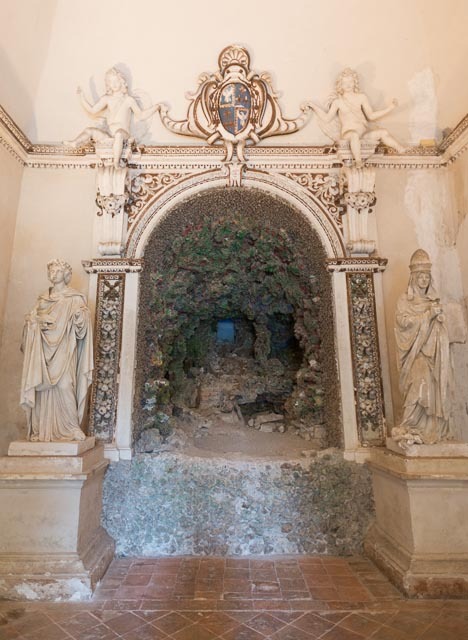 The villa also features lots of gloppy cement as a decorative feature. Sometimes a natural coral-like stone is incorporated into the mix. It’s kinda weird looking in my opinion, but it is definitely done on purpose for what seems to be decoration. It is definitely something you would not see in a later renaissance palace. 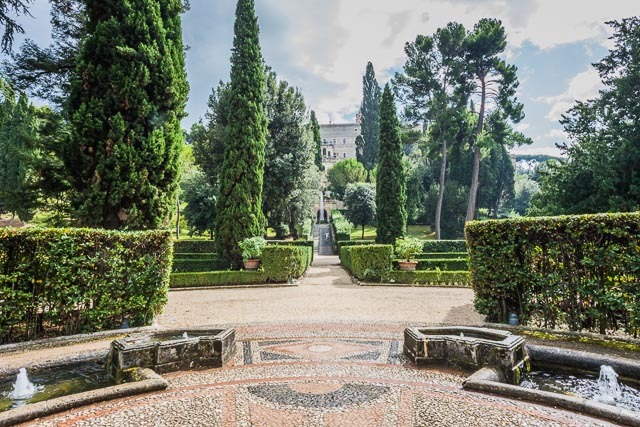 The villa is actually a fascinating mid point between the roughness you can see in all the medieval towns in the area and the more famous later renaissance works in Rome, Florence, and beyond. The inside of the villa is lovely, with your characteristic chain of rooms, one leading into the next. 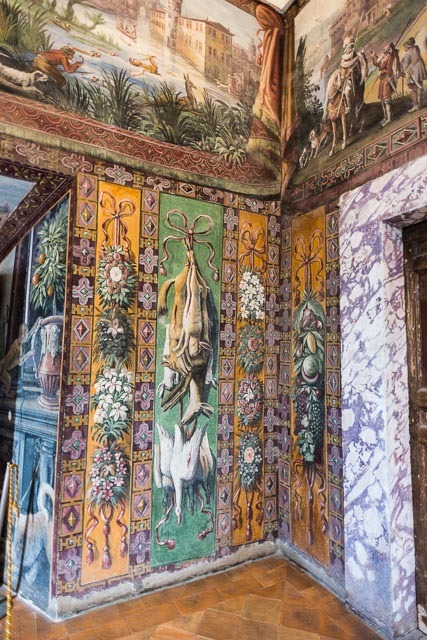 The rooms include a hunting themed room, the carninal’s bedroom with lovely views of the gardens, a large dining chamber with the same views, a private chapel, and many more, each with a decorative theme like Nobility or Noah. 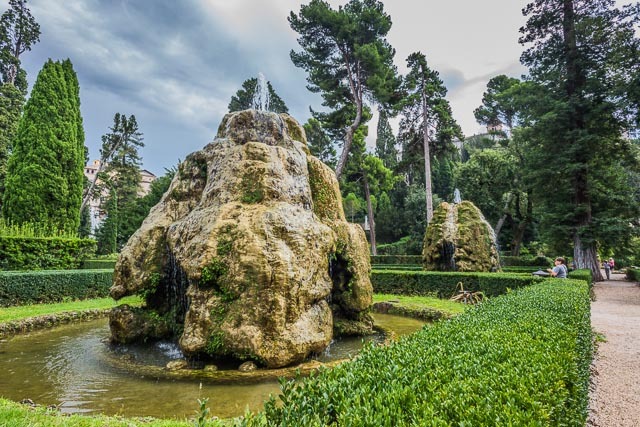 The best part of Villa d’Este is the gardens. 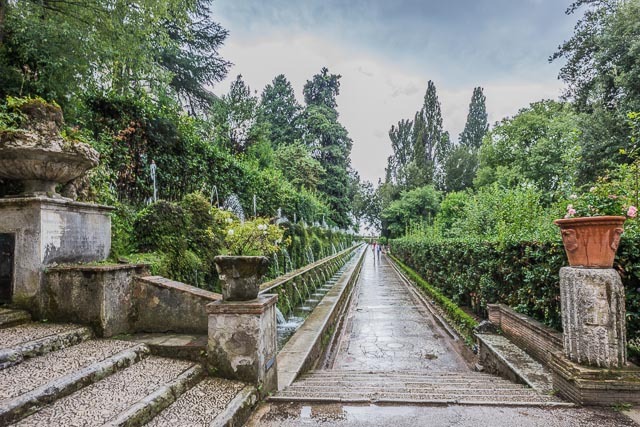 The gardens are tiered into levels; you start at a large terrace, then zig-zag your way down different staircases to the bottom. 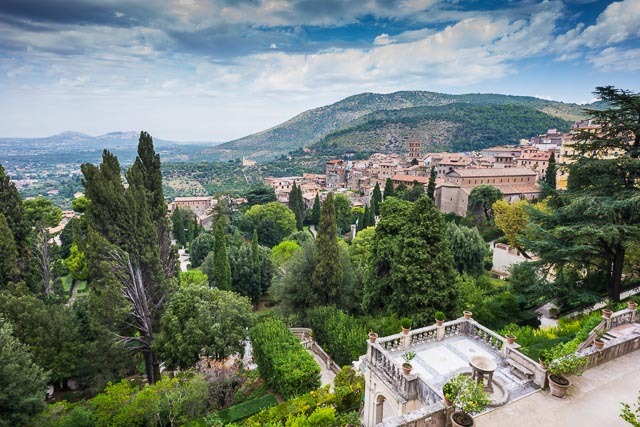 At the bottom are Italian style gardens, featuring geometrical sections divided by tall hedges. 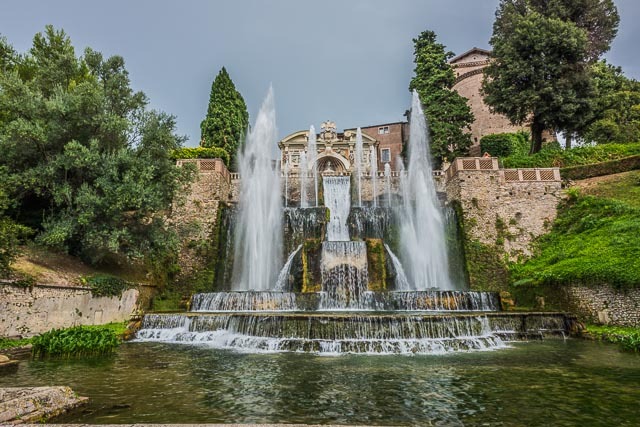 All throughout are very impressive fountains including several large ones, a large reflecting pool, a the “100 Fountains” all in a row. I just want to mention I am all new to blogging and site-building and honestly enjoyed this blog site. Likely I’m planning to bookmark your site . You surely come with fabulous writings. Thanks a lot for revealing your website page. It’s perfect time to make some plans for the future and it’s time to be happy. I have read this post and if I could I wish to suggest you few interesting things or advice. Perhaps you can write next articles referring to this article. I want to read even more things about it! We simply wish to notify you in which I’m really fresh to wordpress blogging and very much valued your review. Most likely I am inclined to bookmark your article post . You certainly have lovely article content. Like it for giving out with us your internet site post. It is perfect time to make some plans for the future and it’s time to be happy. I’ve read this post and if I could I want to suggest you few interesting things or suggestions. Maybe you can write next articles referring to this article. I want to read more things about it! Become a sister wife today – we are a polygamy dating website. Genuinely intriguing data you’ll have said, many thanks for writing. Pretty alluring specifics that you have stated, many thanks for putting up. We really desire to show you the fact that I am inexperienced to putting up a blog and pretty much enjoyed your information. Likely I am likely to store your article post . You absolutely have stunning article topic. Like it for swapping with us your site document. If you're like my mom and can't be bothered to check for new posts, I'll just send them to your email.